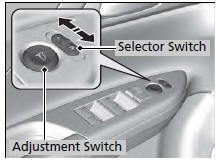 The driver side door mirror has outer and inner segments. 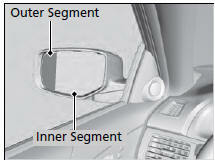 Objects visible in the outer segment of the driver side door mirror appear smaller than objects in the rest of the mirror. But in fact, they are closer than they appear.